You know that feeling you have when a finished project comes out exactly the way you imagined it would? Its great. I don’t get that feeling very often. But I did this time. I took the 300 yds of bulky weight yarn I spun up from Northern Lights Wool Top in colorway Violets (big thank-you to the people at Louet!) and made a capelet. Its really just a top-down raglan sleeve cardigan that never made it to the sleeve stage. 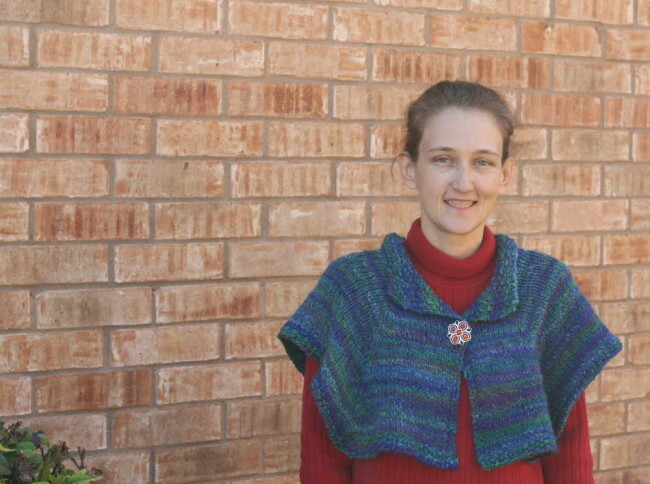 Here is the free knit pattern, if you can even call it that, is at the end of this post. Be sure to use that handy “print & PDF” button. You scrolled down and grabbed the pattern didn’t ya? S’ok, I waited. I was inspired by that gorgeous, tiny capelet Claire, played by Caitriona Balfe, wears in an episode of Outlander. Mine came out bigger and goes further down the shoulder. Which is goodgoodgood. I was hoping mine would be longer and cover more of me. Don’t get me wrong, Ms. Balfe looks great in that tiny capelet (and in everything she wears) but I’m a big wuss about the cold. In knitting, more is more. 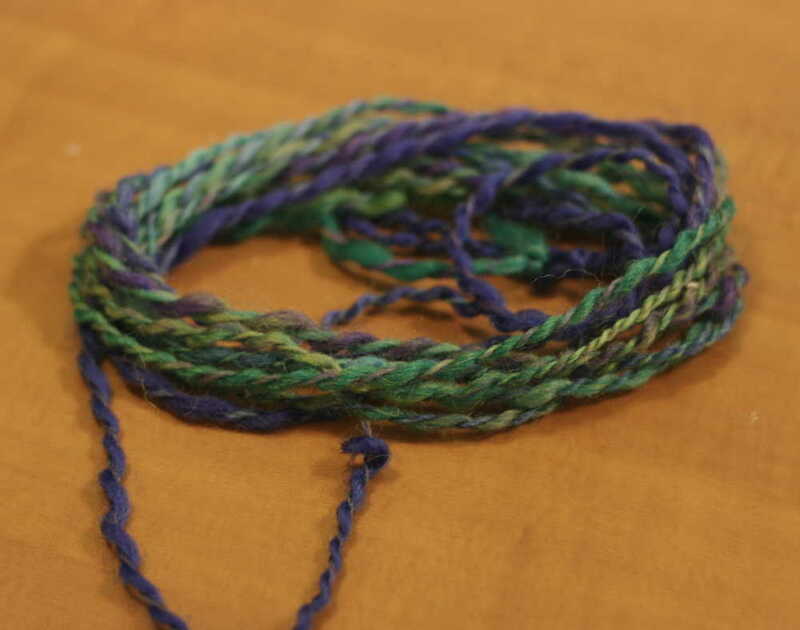 I was surprised, and pleasantly so, by how the colors in the yarn look once its spun and made up. When all I had in hand was the roving… I didn’t see violets. But the yellow-greens blended so nicely with the blues and purples and I see it now. It looks like a field of violets. 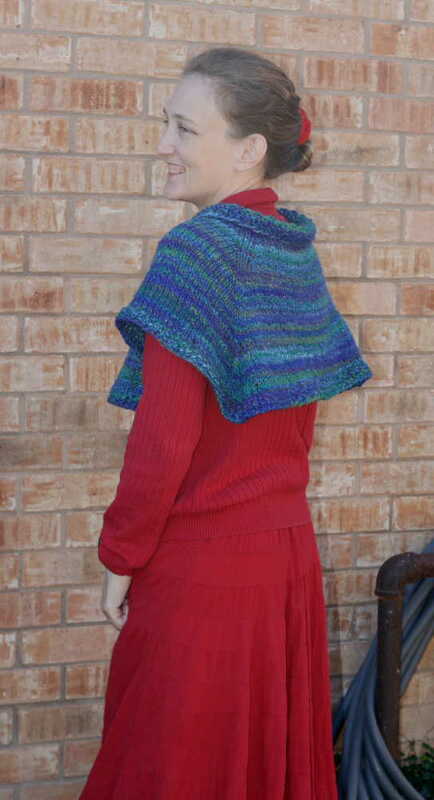 This capelet doesn’t have to be done in handspun of course. 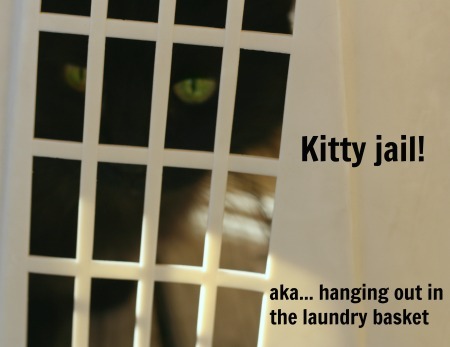 It will work with any bulky weight yarn and it can be adjusted for length depending on how much yarn you have. I always try to pick a forgiving, good-for-any-amount-of-yarn, type project when I’m using my handspun. But beware! 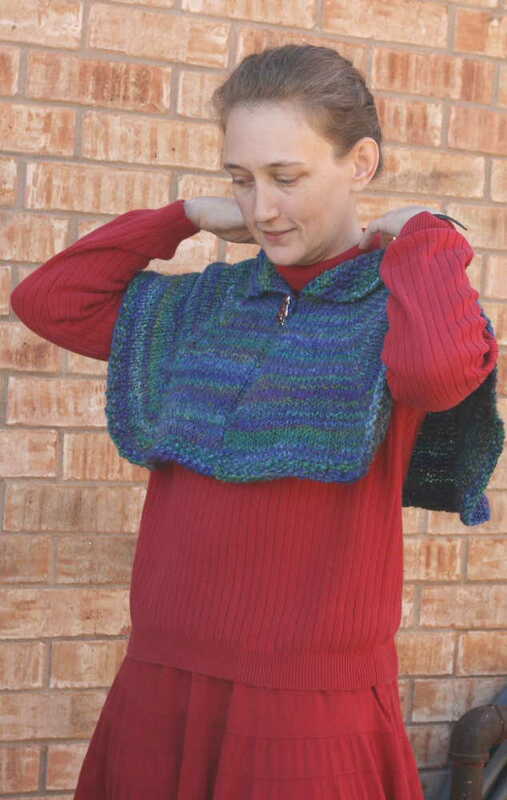 When I finished my capelet, I only had this much yarn left. I started with 8 ounces (225 grams) of yarn and it took one ounce (25 grams) to make the ending seed stitch border and bind off. If you are worried about running out of yarn, just skip a row (or two) of the stockinette section and go right to the border. I hope you like it and I hope you make a capelet of your own. It will dress up your outfit, it will make you feel whimsical, and it will definitely warm up a pair of cold shoulders. Warm is good. The only thing better than warm is coffee. Which is warm. Work Rows 1 & 2 five times (total of 10 rows). Work rows 1 & 2 a total of 23 times (or for 46 rows & you should have 238 stitches). Work Rows 1 & 2 twice (total of 4 rows). Bind off loosely. Add a sparkly broach or shawl pin or weave in a pretty ribbon if you’d like to fasten it at the neck. Then enjoy the crap out of it! 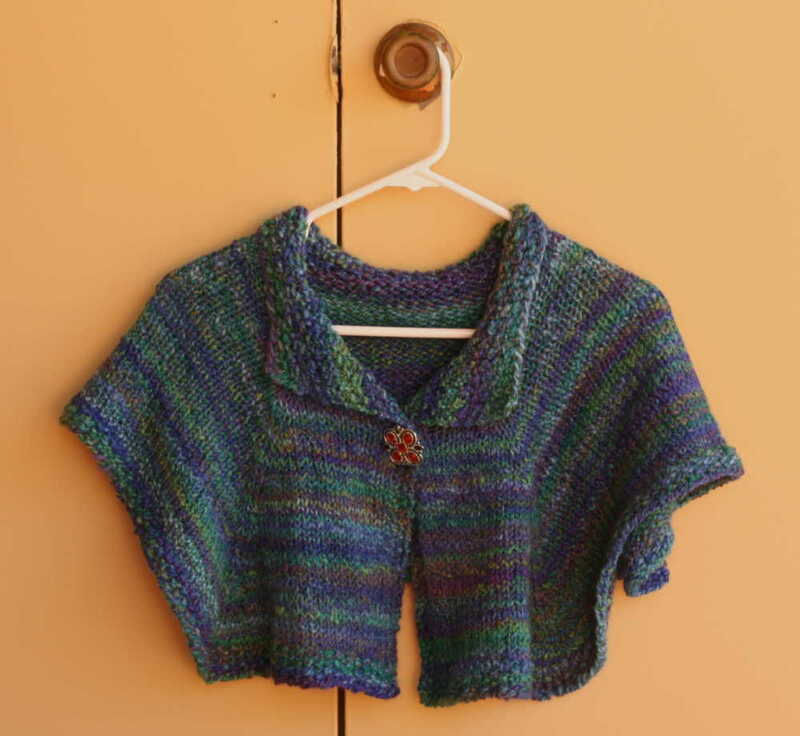 7 Comments on "Warming A Cold Shoulder – A capelet in handspun"
Thanks! I admit I picked out clothes to make the knit accessory look its best. I ALWAYS do. Happy Thanksgiving right back at ya. Beautiful! Thank you for sharing this. I don’t have cable/satellite, so am missing this series and all the cool knitwear! 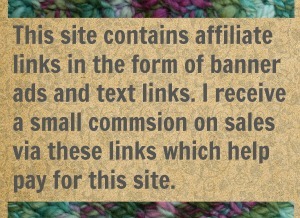 :'( I don’t have bulky yarn in quantity at the moment so might play with doubled worsted weight. I want this NOW. So glad you lie the pattern! Doubling up on DK might work. I’d love to see how it turns out. Love this capelet. Hope to finish this in time for this Summer’s Civil War Reenactments. Lots of other things in the pipeline already. Priority change almost daily……. Thank you for all your tips and patterns. I’d love to see the capelet when its done. Post a linky to your project page? If its not too much trouble? Just started your Capelet in a Bracken Tweed by Panda, doubled up.. After watching ‘Outlander’ (worth watching just for the knitwear) I just had to have one and your pattern is exactly what I had in mind. Thank you so much for sharing it Jenn.